The lesser-known form of indoor pollution, vapor intrusion, is a result of irresponsible waste disposal from industrial sites, military sites, dry cleaners, and gas stations. TCE is the most hazardous of the vapor intrusive chemicals. With the rise of the dry cleaning industry came a chemical called trichloroethylene, or TCE, used as a spot cleaning agent in dry cleaners. TCE, at the time, appeared to be a good replacement for petroleum distillates. It’s important to note there weren’t regulatory parameters in place for responsible disposal of these chemicals. 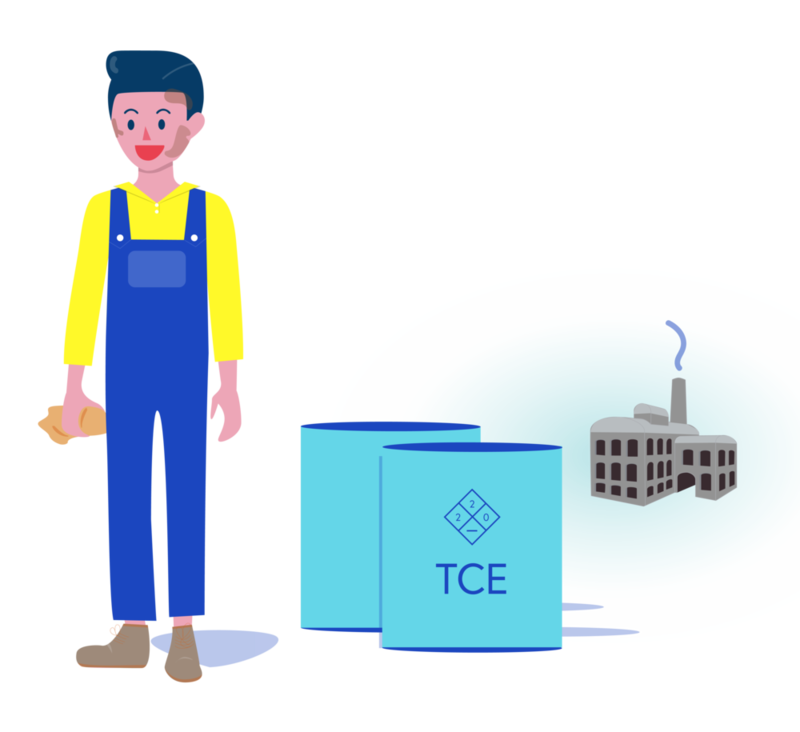 Alongside dry cleaners, factories across the country were using TCE as a way for cleaning furniture and fixtures, fabricated metal products, electric and electronic equipment, transport equipment and miscellaneous manufacturing industries. A computer manufacturer in New York is a notable example of TCE industrial runoff, as more than 4,100 gallons of solvent is recorded to have contaminated groundwater more than 320 acres below surface. Recognition of soil vapor intrusion occurred in the 1980s, with concerns over radon, though it wasn’t until the 2000s that understanding of anthropogenic chemicals extended to TCE. In 2000, The National Toxicology Program (NTP) of the USA first listed trichloroethylene to the known carcinogen list (NTP, 2000). Around this time, it was also discovered that TCE had the ability to travel via groundwater. Indeed, vapor intrusion became increasingly more dire. In 2016, the EPA proposed a ban on trichloroethylene under the Toxic Substances Control Act. Vapor intrusion awareness continues to grow as more and more public places are discovered to have vapor intrusion. Namely, the Google Headquarters in Mountain View, CA briefly put the issue in the spotlight. It has become increasingly clear there are innumerable small plumes around the country. TCE at this point is only used in small- though still hazardous- doses in household cleaners. Peak Environment removes vapor intrusive gases from buildings located above VOC plumes via subslub depressurization mitigation systems. Peak systems are built with VaporTrac technology, allowing the system to immediately communicate pressure analytics and system effectiveness in vacuuming out gases, providing creditable reports for validating up-to-spec mitigation. Source: NBCI Aug 1, 16. EPA Jan 19, 17. Want to learn more about vapor intrusion? Sign up for updates and news.